Black Friday is the biggest shopping day of the entire year, and text message marketing really helps make an impact on those sales. Black Friday sales events are marketed everywhere. This includes mobile devices. Through text marketing, the individual has the chance to reach a broad number of people, since nearly 90% of all people have a cell phone on and with them at all times. In addition, 95% of all text messages are opened and read. You can use text message marketing to deliver a number of different things to the customer, including videos, coupons, and so much more. When these things are sent to the consumer via their mobile device, it helps to build loyal customers, and it is those loyal customers that benefit a company greatly. Even when the holiday season is over, a loyal customer is still there. And, since the consumer is on the marketing list, your business can alert them of sales that take place all throughout the year! In 2012, mobile shopping showed a 24% increase from the 2011 year, and much of that has to do with mobile device capabilities. In 2011, only 16% of all shoppers used a mobile device for their shopping. This year (2012) was big for the iPad and shopping from the device, but many also used the Android and iPhone to make their purchases. 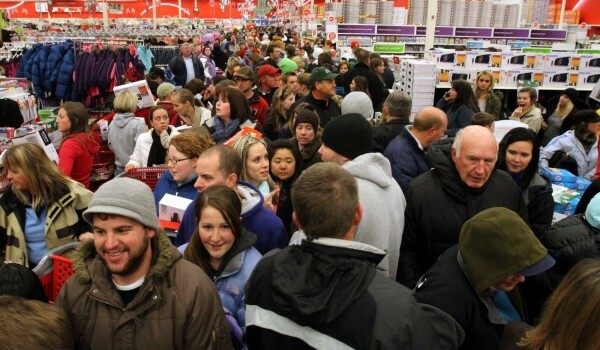 In 2013, things were even better for Black Friday and mobile shopping. An increase of 2.3% was seen during this year, and a 20% increase in online shopping was also noted. Text message marketing will be prominent in the Black Friday shopping of 2014. Many companies are increasing their SMS efforts to produce more revenue for the year. Mobile marketing is a winner, and it allows a business to quickly convert sales easier than through other methods. It takes nothing more than a simple click and check of the text message to receive the message. That benefits both the business and the customer.